A while back, Laura Mortensen sat down with a tape recorder and asked her mother, Melba, some questions about her life. The result was this sweet little book, "I Wish You Bluebirds." I wanted to show it to you, because it's a great example of what can be done with a recorded oral interview and a few pictures. Holidays, for better or worse, are family gathering times (followed closely by weddings, funerals, and family reunions). What better time is there to interview those family members you only see once a year? Give your auntie an excuse to stay out of the kitchen and hold her comfortably captive while you ask a few questions. 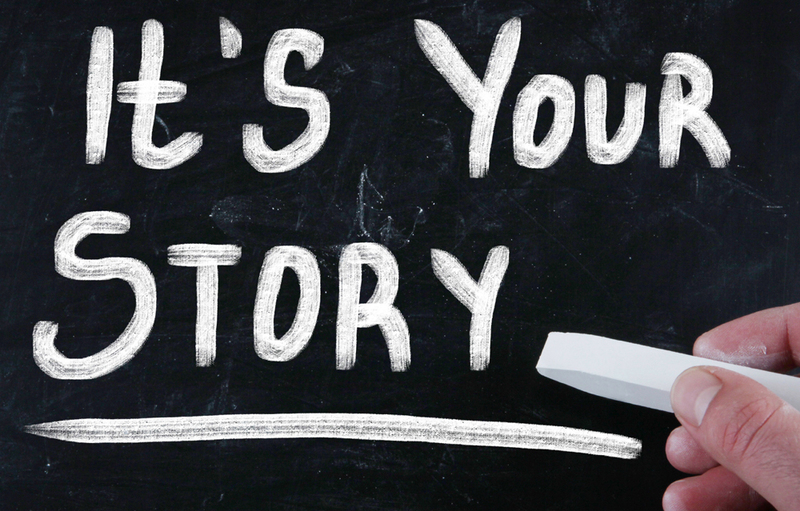 Here are a few tips that will help you get better stories. Free photo scanning at the Family History Library in Salt Lake City! Whoo hoo! In addition to having the best collection of genealogical material in the world, The Family History Library in Salt Lake City has a bunch of amazing equipment available for scanning your photos. Best of all, it's free, no strings attached! And there are experts there to help you along the way. We've been wanting to blog about this for a while, so we sent our trusty assistant, Layne, on a field trip downtown. Is your writing working hard? Or is it sleeping in class? Since it's Friday---and who doesn't love grammar advice on a Friday?---I'm going to show you a neat little trick that will make your writing clearer, stronger, and more to the point. Fortunately, speech-to-text technology has evolved a bit since the turn of the last century. You have stories to tell, but writing them is a pain. Or maybe you like to write, but you don’t like to type, and writing by hand takes too long. Speech-to-text technology now enables us to simply talk and let our computers do the typing. Is Honesty the Best Policy when Writing Your Life Stories? How honest should I be when writing a memoir? There is a difference between being honest, or truthful, and being accurate. Accuracy alone, while important in certain essential facts like birthdates and college degrees, can be the kiss of death in a memoir. Why? Because you are a human being, not a recording machine. You have a soul that interprets events, molding them into your own personal truth that is expressed in a way only you can express it. That subjectivity is what makes a memoir interesting. You are showing your reader what it feels like to be you. This week's webinar is the eighth and final one in the “How to Save Your Life, One Chapter at a Time” series: “Putting Your Book Together.” Now that you’ve written your stories and gathered your pictures, we will show you some options for turning them into a beautiful hardbound book. Cool modern pedigree chart by mytreeandme.com. How do we tell the gold from the dross? How do we decide what to let go of? And what should we do with the stuff that is important enough to keep, so that it can be enjoyed and cherished by the whole family?